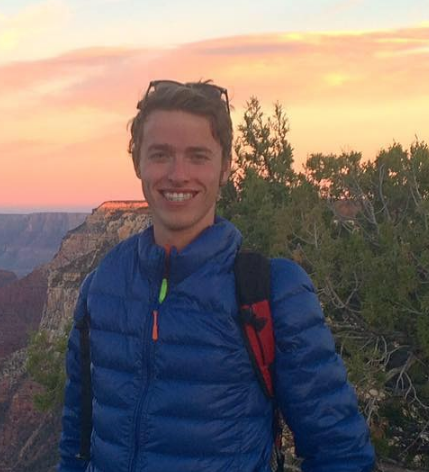 ST. GEORGE — In a feat that may cause those with a fear of heights to shudder, a German slackliner is planning to walk between two hot air balloons over Monument Valley later this month. Similar to walking a tightrope, slacklining is a sport where participants balance on a strip of webbing, although it’s not as taut as a tightrope. 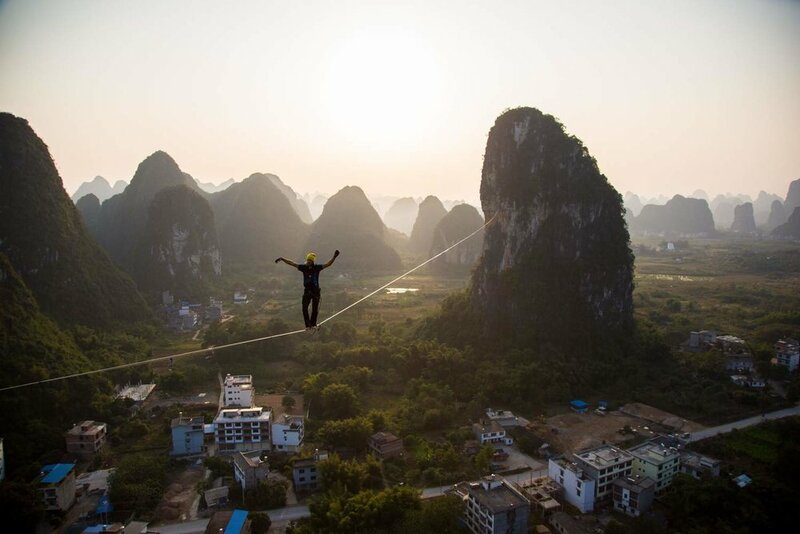 Alexander Schulz, a German slackliner for One Inch Dreams with multiple world records for slacklining under his belt, will be the man braving the walk between the hot air balloons high above Monument Valley in San Juan County. The event is slated to happen anytime between Oct. 12 and Oct. 15, depending on weather. The event is part of “Wunderbar Together” and “Deutschlandjahr USA,” a year-long campaign funded by the German government to celebrate and highlight the connections between Germany and the U.S., said Kelsey Suter, a public relations representative for the initiative. “It’s an interesting and unique celebration of U.S.-German friendships and relations,” Suter said. One balloon involved in the slacklining event will have the German flag on it, while the other balloon will have the American flag to represent the ties between Germany and the U.S. And for those worried that Schulz may fall to the valley floor after one wrong move, he will be safely tethered to the line in case he slips. 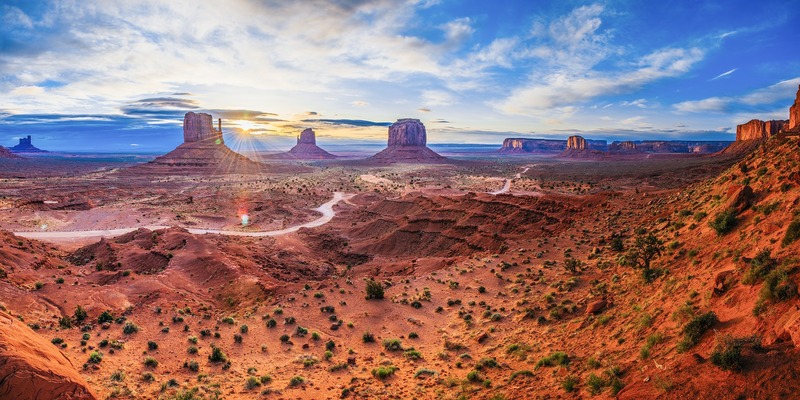 It may be hard for people to view the feat from the ground because the location will be within a remote area of Monument Valley away from the roads and tourists, Suter said. A video of Schulz slacklining between the hot air balloons will be available on the website for One Inch Dreams shortly after the event. The “Wunderbar Together” campaign kicked off with a reception in Washington, D.C, on Wednesday, and will also have launch events in Boston, Atlanta, Los Angeles and Indianapolis. Later in the year, a pop-up tour will travel around the U.S.
“The German-American friendship is built on a myriad of personal connections that span the Atlantic – centuries-old family ties and new friendships, twin towns and sister cities, and friendships between schools and universities,” said German President Frank-Walter Steinmeier. He survived a 100-foot fall in a slot canyon. Now he's climbing again. Even though I think it’s a bullcrap enterprise, I support your right to slackline. I don’t agree with the concept of pointless athletic pursuits, and this is one of them!